Virtualization makes it possible for IT managers with fewer than 50 servers to be more responsive to their internal and external customers, provide higher-quality service and react quickly to business needs. As a result, adoption of virtualization is growing fast. 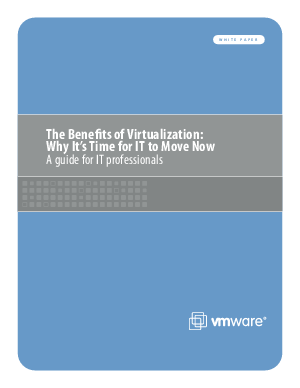 This white paper reveals six major benefits of virtualization.